Since the inception of the federal income tax law in 1913, home mortgage interest has always qualified as an income tax deduction. And while the deduction wasn’t explicitly created to encourage home ownership, it has no doubt contributed greatly to helping make the dream of home ownership more affordable for millions of American families. Home ownership in the U.S. has grown from 45% in 1920 to 64% today. Home ownership today is a key component of the overall economy. Housing represents 15% of the nation’s gross domestic product (GDP). Recent growth in the home ownership rate has been fueled by first-time buying millennials taking advantage of low interest rates and technologies like our Mortgage in a SNAP online app that make the mortgage application process faster and easier. Are you seeking your first home? Become part of the first-time buyer trend. Get started with Mortgage in a SNAP. From a tax perspective, owning a home is a great idea. Even after changes resulting from the Tax Cuts and Jobs Act (TCJA) of 2017, home ownership is still a pathway to financial success. Mortgage Interest Deduction. Homeowners who itemize their taxes can deduct up to $750,000 in home mortgage interest. Capital Gains Protection. Generally, taxpayers who sell assets such as stocks, for example, must pay capital gains tax on any profits made on the sale. But homeowners may exclude from taxable income up to $250,000 ($500,000 for joint filers) of capital gains on the sale of their homes. Property Tax Deduction. Homeowners who itemize their deductions may also reduce their taxable income by deducting the property taxes they pay on their homes from their federal income tax amount, up to $10,000. If for no other reasons than these, home ownership is still a worthwhile investment. But there are more reasons. Long-Term Investment. A home is one of the best long-term investments you can make. According to the Federal Housing Finance Agency (FHFA) House Price Index (HPI), U.S. home prices rose an average of 34.71% over the five-year period ending Dec. 31, 2017. On average, homeowners saw the value of their real estate investment grow by 6.94% per year during that period. Home Equity. In addition to increasing in value, your investment in your house creates home equity appreciation. This is the difference between how much you still owe on your mortgage and how much your house is worth. As you make monthly mortgage payments, you are continually reducing the amount you owe while increasing the amount you own. The difference is like money in the bank. High-Return Savings. As you pay down your mortgage and reduce the amount you owe, without realizing it you are saving money. With bank savings interest rates as low as they are, paying down your mortgage at the same time your house is increasing in value will generate a rate of return that far exceeds the return you can get at the bank. In addition to the tax and investment benefits of owning a home, there are other, intangible benefits. Pride of Ownership. Nothing beats the pride you feel owning your own home. You have full control over the interior design, the landscaping, and other aspects of the home. If you are so inclined, you can become your own handyman/handywoman. Your home becomes an extension of you, a place where you will entertain friends and, possibly, raise a family. You Become Part of a Community. Once you own a home, you become part of a larger community. As you sink down roots and get to know your neighbors and surrounding neighborhoods, your bonds to the community will strengthen. For all these reasons and more, it’s easy to see why owning a home has become part of the American dream. 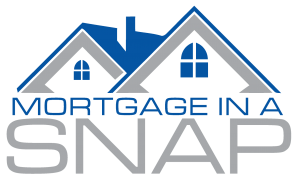 To see how Mortgage 1 can help you make the dream a reality, call (866) 532-0550 or use our Mortgage in a SNAP application today.